Satellite-based global positioning systems (GPS or, more generally, GNSS) revolutionized the surface mining industry in the 1980s, 1990s, and early 2000s, possibly representing one of the most significant technological changes to the mining industry in recent history. Today, in conjunction with the advent of high-speed digital and mobile communications, material and fleet tracking systems are commonplace at nearly all surface mining operations. More recently, the number of deployed autonomous haul trucks and robotic surface drills has been increasing, owing their existence to advances in robotics, positioning, and communications technologies all at once. However, the story is different for underground mining. There exists no directly analogous replacement for satellite-based global positioning systems that works in underground environments. Satellite signals cannot penetrate rock, and placing many radio frequency devices (e.g., RFID tags or Wi-Fi access points) throughout a mine has significant practical drawbacks and is not an elegant solution to the problem. Unfortunately, underground positioning (and underground robotics, in general) had a slow start in the 1990s and early 2000s, when several misconceptions about the state-of-the-art were espoused, for better or for worse. The fact is that practical, real-time, high-accuracy 3D positioning for moving equipment in underground environments is a tricky problem, and one that only recent computing, sensors, and know-how has solved. 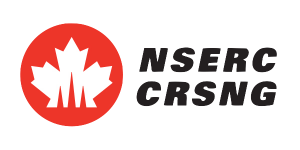 This project page provides a summary of the research output from two phases of uGPS (underground positioning system) research funded by the Natural Sciences and Engineering Research Council of Canada (NSERC). Phase 1 focused primarily on localization in 2D, and was carried out with industry partner MDA. 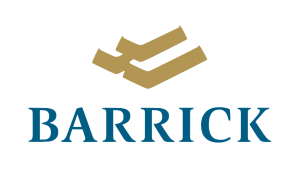 Phase 2 focused primarily on 3D mapping and associated practical applications, and was generously supported mostly by Barrick Gold‘s internationally-staffed Mining Information Technology (MIT) group. Together, these research projects supported more than a dozen graduate researchers, many fruitful technical discussions between university researchers and industry professionals, as well as joint field work. This research was directly made into the product called uGPS RapidMapper, now sold and used by mining companies and other professional organizations around the world. The uGPS concept began in 2006 and was based on work by Joshua Marshall and Tim Barfoot on autonomous tramming at MDA, in collaboration with Atlas Copco Rock Drills AB (Örebro, Sweden). This initial work resulted in the development of source intellectual property, owned and patented by MDA. 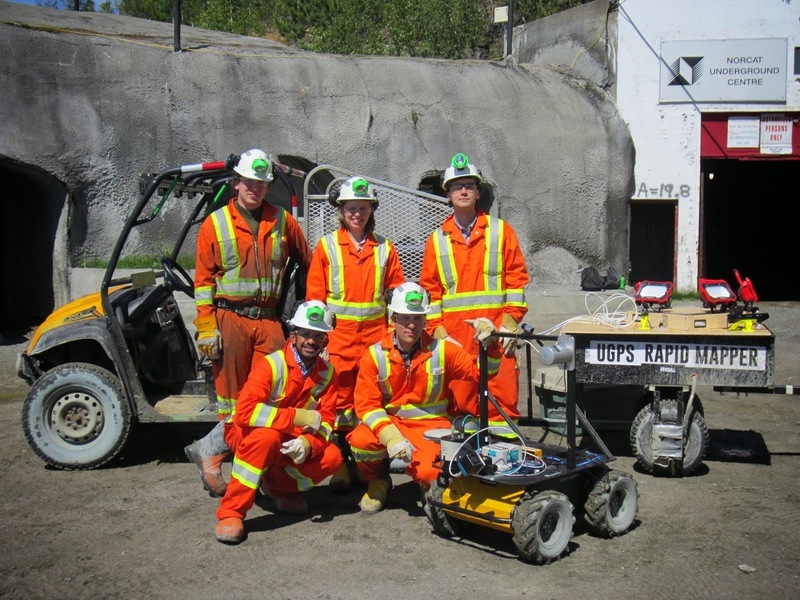 Beginning in 2008, initially funded by NSERC and MDA, a team from the Robotic Vehicles Group at Carleton University set out devise a map-based solution to the underground positioning problem based on the latest research from the mobile robotics community. This work formed the seed for the new underground positioning technology now called coined uGPS. S. Radacina Rusu. Real-time localization in large-scale underground environments using RFID-based node maps. M.A.Sc. thesis, Department of Mechanical and Aerospace Engineering, Carleton University, Ottawa, ON, August 2011. U. Artan, J. A. Marshall, and N. J. Lavigne. 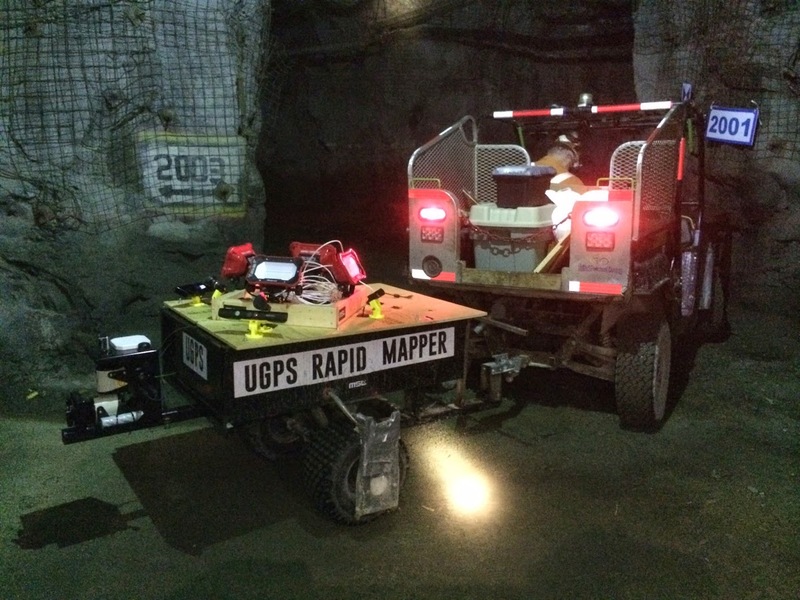 Robotic mapping of underground mine passageways. In Transactions of the IMM (Part A): Mining Technology, vol. 120, no. 1, pp. 18-24, January 2011. N. J. Lavigne. A landmark-bounded method for mapping of large-scale underground drift networks. M.A.Sc. thesis, Department of Mechanical and Aerospace Engineering, Carleton University, Ottawa, ON, September 2010. U. Artan. Algorithms and experiments for globally consistent mapping of underground passageway environments. M.A.Sc. thesis, Department of Mechanical and Aerospace Engineering, Carleton University, Ottawa, ON, January 2010. Following the success of uGPS Phase 1 we received a great deal of interest from Barrick and other industry professionals, not specifically about the localization capability of the uGPS technology but rather about its ability to generate global and accurate maps of underground environments. This feedback formed the impetus for a new phase of research in underground mapping and localization. 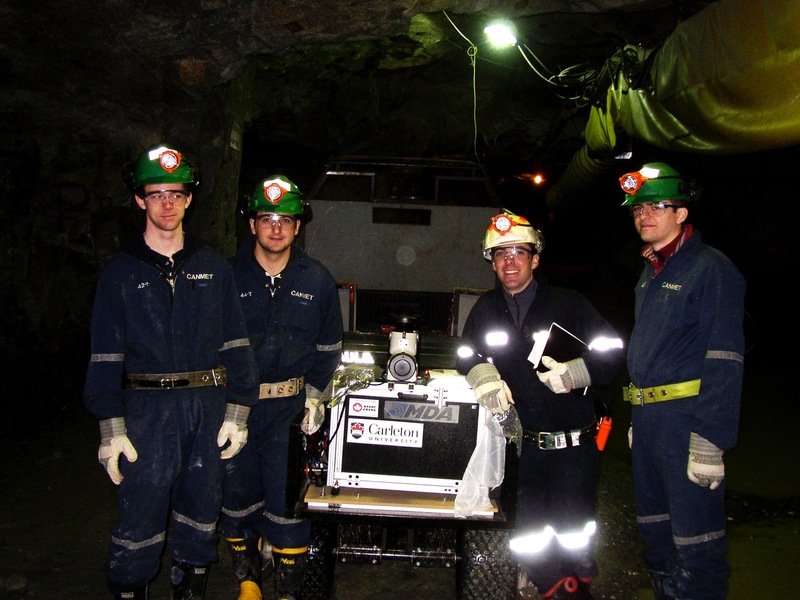 In 2010, the short-lived Robotic Vehicles Group at Carleton University moved to Queen’s University and was re-named the Mining Systems Laboratory. In March 2013, a new uGPS project began, this time primarily funded by Barrick Gold‘s Mining Information Technology (MIT) group. Peck Tech Consulting showed an interest in our technology, given that they had recently hired two researchers from the uGPS Phase 1 project (Artan and Lavigne). These students brought the uGPS code and expertise to Peck Tech. An official link was also created with the Robotics and Computer Vision Laboratory at Queen’s, to augment our expertise in the areas of computer vision and the possible use of camera-based sensors for mapping and localization. 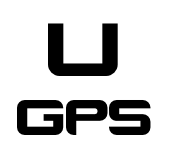 This new uGPS research project was divided into several work packages (WPs), each with a specific sub-objective (see publications and links below). At the end of the project (in March 2016), more significant progress had been made one some work packages when compared with others. However, this was as a result of the feedback from our industry partners throughout the project about the directions most interesting and timely to their activities. Some publications are still under review or in press, and are thus not listed yet (check back here for updates in 2017 and beyond). Below are a some publications and theses from MSL that fall into the subject areas related to those relevant to uGPS. J. Simela. 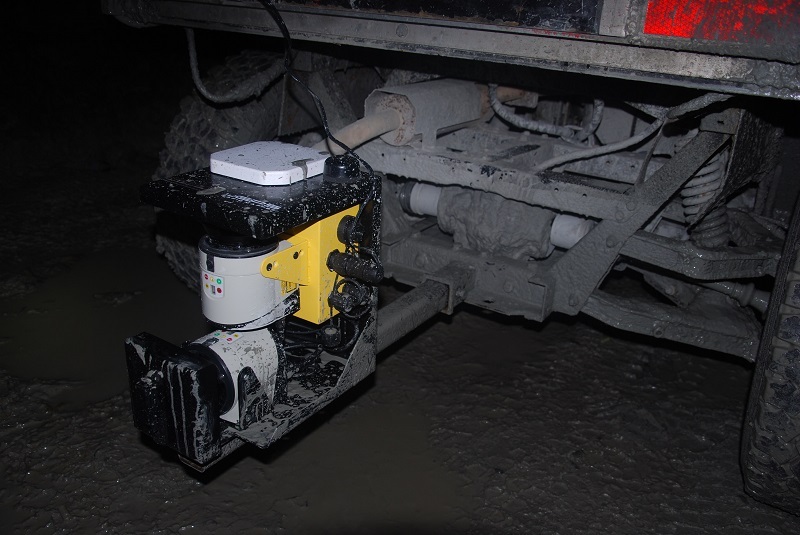 Towards Automated Underground Mine Surveying: Integration of Mobile Mapping with Georeferenced Geometric Beacons. 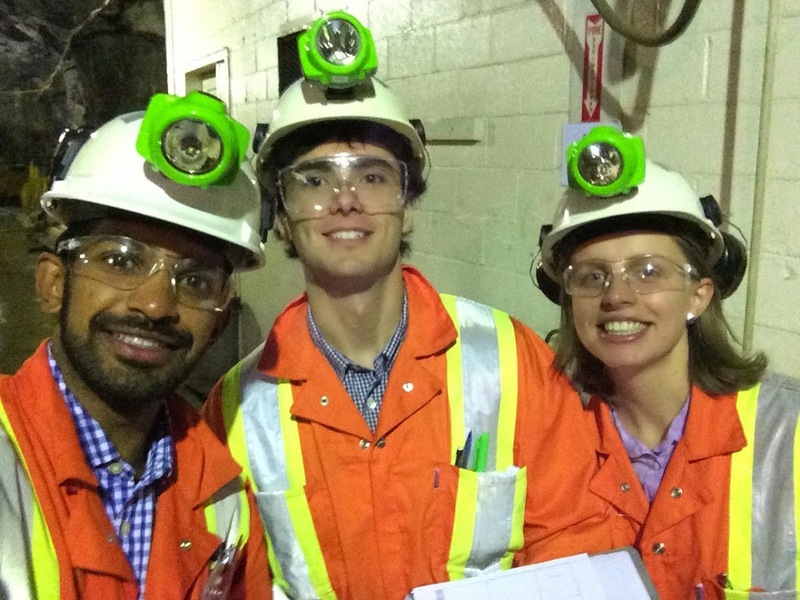 Ph.D. Thesis, The Robert M. Buchan Department of Mining, Queen’s University, January 2016. M. T. Ahmed, M. Mohamad, J. A. Marshall, and M. Greenspan. Registration of noisy point clouds using virtual interest points. In Proceedings of the 12th Conference on Computer and Robot Vision (CRV 2015), Halifax, NS, June 2015. Best vision paper award! E. Deretey. Visual Localization in Underground Mines and Indoor Environments using PnP. M.A.Sc. Thesis, Department of Electrical and Computer Engineering, Queen’s University, January 2016. E. Deretey, M. T. Ahmed, J. A. Marshall, and M. Greenspan. Visual indoor positioning using a single camera. In Proceedings of the 6th International Conference on Indoor Positioning and Indoor Navigation (IPIN 2015), pp. 1-9, Banff, AB, October 2015. D. Sinha. Image Retrieval using Landmark Indexing for Indoor Navigation. M.A.Sc. Thesis, Department of Electrical and Computer Engineering, Queen’s University, April 2014. D. Sinha, T. Ahmed, and M. Greenspan. Image retrieval using landmark indexing for indoor navigation. Proceedings of the Canadian Conference on Computer and Robot Vision (CRV 2014), Montreal, QC, May 2014. C. Watson and J. A. Marshall. 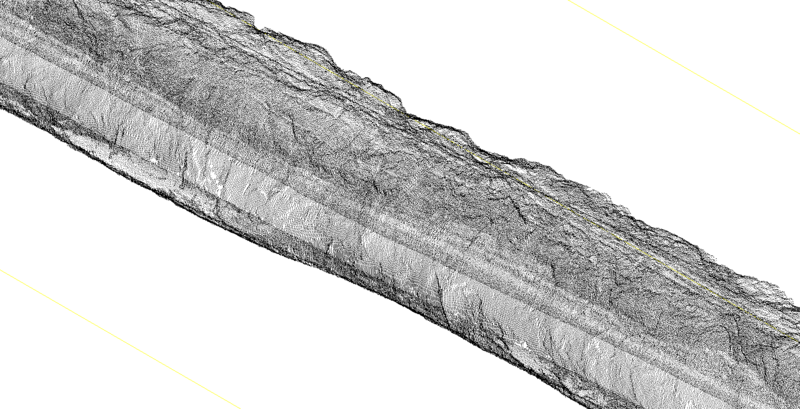 Estimating underground mine ventilation friction factors from low-density 3D data acquired by a moving LiDAR. To appear in the International Journal of Mining Science and Technology, accepted June 2, 2017. C. Watson. Towards Estimating Friction Factors of Mine Drifts from Low Density Point Clouds. M.A.Sc. Thesis, The Robert M. Buchan Department of Mining, Queen’s University, April 2016. R. L. Vanderbeck. A Bayesian Approach to Convergence Detection in Underground Excavations using LiDAR. M.A.Sc. Thesis, The Robert M. Buchan Department of Mining, Queen’s University, April 2016.